At the end of the day, sporting activities and their results define a football club. Whereas the management department operates and orchestrates the everyday functioning of a club, the sporting department forms the beating heart of the footballing community. The football-specific organisational structures are “the most recognisable -with the highest profile- with which supporters, stakeholders and partners identify” and, therefore, need to deal with a lot of exposure (ECA Guide, 30). Also on the financial part, the sporting side plays an important role. The cost of employing players has risen tremendously over the last decade(s). Overtaking economic growth in general, the expansion of players’ wages is even more remarkable than the staggering rise of transfer fees. If we take Premier League as an example, we see that the transfer spending fees continued to grow over the years, but so has wage cost. During the season 2014/15 Premier League clubs spent a total of £2.03 billion on remunerations (Deloitte Annual Review of Football Finance 2017, 2). Season 2016/17; £2,5 billion. A growth rate of 23% in only 2 years! 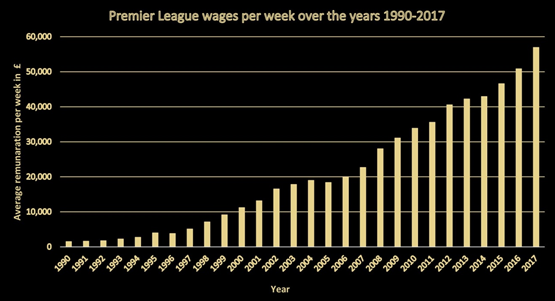 Undoubtedly, employment cost is a crucial factor when making up a club’s budget for the year(s) to come. The club’s non-sportive departments need to ensure that –through for example commercial activities- enough resources are available in order to fund the buying spree of the football department. It is clear that the decision of recruiting players has vast implications, and is therefore not a one-man job. The Sportive Director (responsible for the football strategy), the Chief Executive Officer (responsible for the management strategy), the Chief Financial Officer, the Legal Secretary, the Head Coach and the Scouting Department are the heart of the club when it comes to dealing with transfers. Clear lines of communication between all parties are vital for a successful recruitment process. 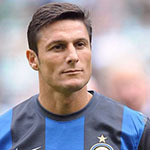 In order for the sportive department to justify their interest in a certain player, the information provided to the management board should be perceivable and fact-based. This is where the scouting department kicks in. Decisions in scouting based only upon emotions, is a thing of the past. Utilising all forms of intelligence has become a crucial aspect of the job. First of all, a scout needs to know whether a player’s positional play is good, if he is talented and able to perform, and that involves watching the game completely differently. Second, the scout needs to back his findings when reporting to the decision makers in dealing with transfers. This does not only requires a scout who has the ability to transfer his knowledge, but also the stakeholders in the buying process of a player need to have insights into how the scouting has been done. How to acquire the knowledge of scouting? Training! At the International Football Business Institute – IFBI, we teamed up with the International Professional Scouting Organisation – IPSO. IPSO is an international scouting network designed by experienced and professional scouts and managers in order to introduce innovative training for current and future scouts and to provide appropriate systems and procedures for effective analysis and scouting at a professional level. By following the constantly changing trends, technological developments and improvement of training methods in football, IPSO developed their own, unique scouting programme. 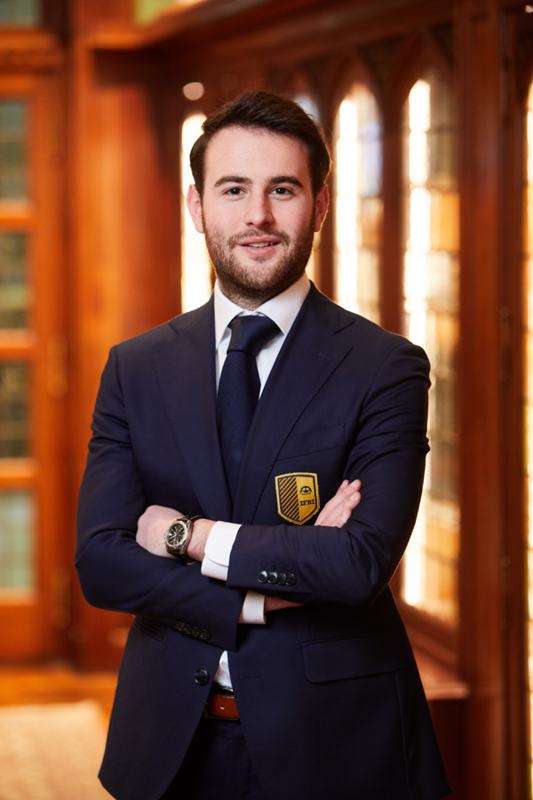 We believe that the insights IPSO can provide to improve and optimise the professional techniques and selection of appropriate criteria to obtain a crystal view of the real skills of a player, not only benefits people working at a scouting department, but is of value as well for people working on the management side of a club. That is why we decided to incorporate the IPSO Level 1 Scouting course in our curriculum and opened it up for the public. Want to get more insights into how scouting can provide added value for clubs, or interested in being able to analyse a player from a holistic point of view? 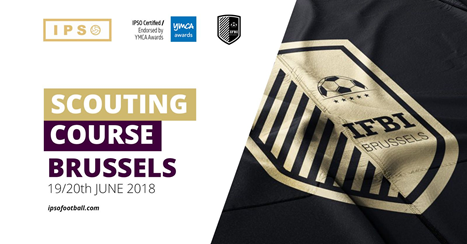 Join us in Brussels on Tuesday the 19th and Wednesday the 20th of June for two days of scouting.